I’ve lived in Sicily for just over four years now and we’ll be leaving the island for good in less than a month. I’m sure I’ll write more about my feelings on that later on. Right now I’m just trying not to think too much about it. So rather than write about what it feels like to be leaving, I thought I would just share some photos that I took over the weekend, just to give you a sense of what life is like here. We didn’t do much last weekend. Not really. But when I look back at the photos, I feel like the luckiest person in the world to have spent this time here. It still feels like a dream. 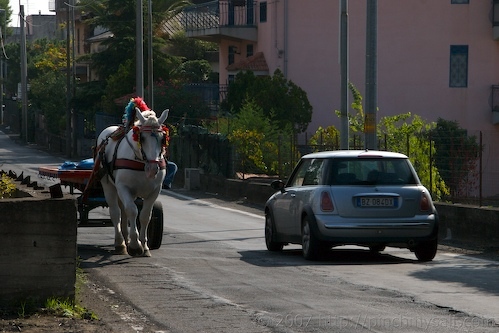 On Saturday morning we decided to drive up to the small town at the base of Mount Etna where we used to live, San Pietro Clarenza. It’s about 25 minutes from where we live now and there is a shop in the town center that sells some of the best pastries around. 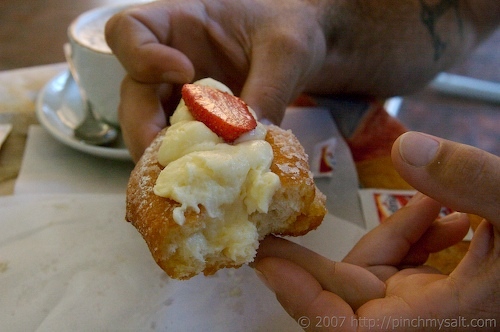 A raviola is a Sicilian pastry that is filled with sweetened ricotta. 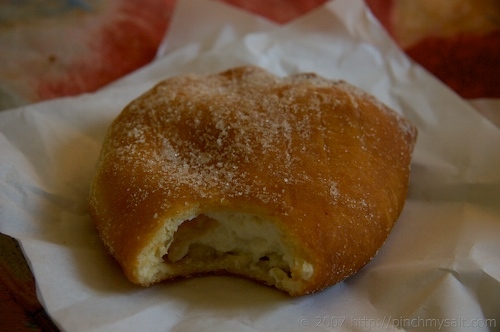 It is made from yeasted dough and deep-fried so it is similar to an American filled donut (but soooo much better). There is another version, raviola al forno, that is baked. The baked ones are made with a different type of dough…something butter-rich and flaky. They are also wonderful, but messier to eat. I prefer the raviola fritta (fried) when they are available. But regardless of whether the outside is fried or baked, it is the sweet ricotta on the inside that makes this treat special. The sheep’s milk ricotta here is unlike anything I’ve ever tasted. I will miss it as much as I will miss gelato, granita, and pizza. The pastry Justin ordered (because they only had one raviola left) was similar to mine but filled with pastry cream instead. As you can see, it was also topped with more cream and a strawberry. And it was good! 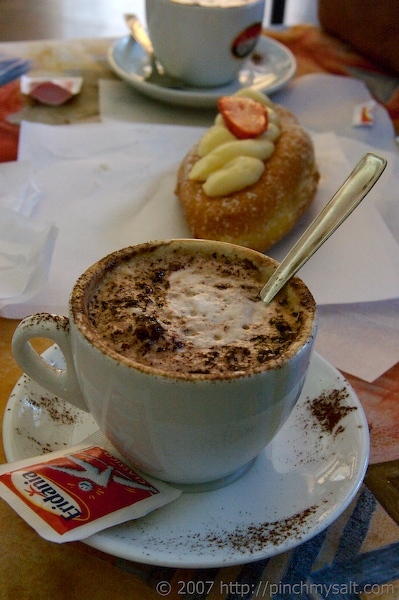 Although the pastry and cappuccino were great, my favorite part of the morning was the drive. You never know what you’ll run across when driving through the small towns here. Sometimes you run into a herd of sheep or cows, sometimes you run into a huge group of cyclists and feel for a second like you’ve just run into the tour de France, and sometimes you get stuck driving 5 mph behind a horse and cart. We didn’t actually get stuck behind this guy. We sped around him and stopped up the road so I could hop out and take some photos. I see horses and carts all the time here but this one was fun because the horse was all dressed up. Usually the horses only put on their fancy costumes during festivals. 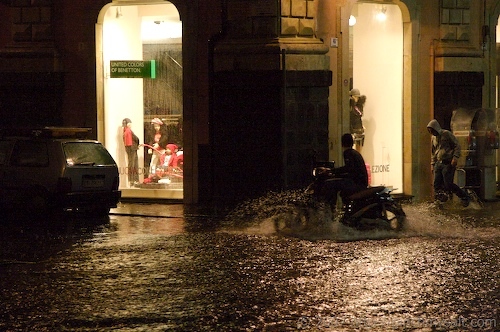 What a special opportunity to live in Sicily, for any length of time. Leaving will be difficult, but moving is always a "going towards" as much as leaving behind. I only wish that Jason and I could have visited again before you had to leave, especially in the summer! I loved Sicily, it was the best experience ever. You have been very fortunate to have experienced life in Italy! I know it's hard to leave but you will go on to another exciting adventure to be sure.I was just thinking about you this morning and hoping that all is well with you.One question for you about food. I've never been a big fan of ricotta cheese because of the sandy, gritty texture. Have the same feelings about pears too. Is the ricotta there gritty, too? Sorry if that's a dumb question but I really don't know!! Thank you for posting those wonderful pictures! It made for a mini va-cay and a great escape for me! Savor your remaining moments there. I did the same when I found out I was going to leave the beach I so dearly loved for 15 years, to go live 700 miles away inland! I found that I keep reminding myself, "I loved it when I was there and took every advantage I could." It helps to know you appreciated it when you had it! Ooooh, It will be hard to leave....but think how nice it will be when you return for visits.... for, of course, you will, often! wow u seem to live in such a beautiful place. Someday i'd love to visit. Love your phtotgraphs. These raviolas look to die for. Can almost that that soft yeasty bread .. mmm n sweet ricotta ... u definately got me wanting to drop by more often. I always love your pictures from across the pond...course your stateside ones aren't bad either.Cheers! thanks for the memories ! I feel like I was there with you. how about a few pics of the flowers in window boxes or the little flower shops ? wow, that ricotta pastry sounds incredible! i now want to be back on vacation, stat. I so need that pastry that is filled with ricotta! I love Sicily...too bad we only "met" towards the end of your stay or I might have found an excuse to come down on the weekend!I totally agree about the fresh ricotta....you can use it in so many different ways and it's delicious. That first picture is stunning. Wow, I wasn't expecting so much of a response for this little post :-) It's great to hear from some new people (and of course I always appreciate hearing from my regulars!!). You are right, I have many new adventures ahead of me regardless of where I live. I am trying to stop focusing so much on all the things I wish I would have done while I was here and remember all of the wonderful experiences I did have! And I plan on somehow, in between packing and cleaning, squeezing in a few more adventures during the next few weeks! Go back and ask the restaurant owner for the receipe for the raviola. Simply explain Pinch My Salt web site. Advertise for the restaurant and voila! I know how persuasive you can be. In fact, why don't you ask if you can observe the chef preparing them? I just came across your blog----it's wonderful! I've lived in Italy and travelled all over, but never made it down to Sicily. 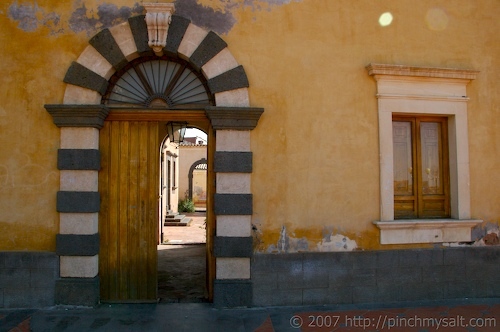 I'm dying to go----especially since my family came from Porto Impedocle (near Agrigento). As a cook--- I love your recipes---and plan to make the pumpkin scones asap! Sad to leave Sicily---but I'm sure great things await back in the good ol' US of A. I'm sure I'll become a "regular" on this blog too. 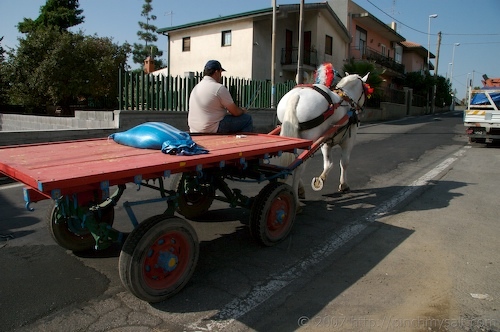 Oh, I loved these two posts about Sicily! Thank you. Sharon: That's a good idea but unfortunately I don't think it's going to happen. Our packout is happening in a week and there is sooooo much to do!The Secret Ingredient: Thanks for stopping by! You must get down to Sicily sometime, it's absolutely wonderful! And especially if you have family roots here! The coast near Agrigento is so beautiful and the wonderfully preserved Greek Temples there are amazing!Barbara: I'm glad you enjoyed them! I'm hoping to share more about Sicily soon! Welcome back to the States! I, too, lived in Italy (Siena) years ago and returned home kicking and screaming. Your photos are as beautiful as your recipes! I love your citrus salads and your step-by-step pics of sectioning them. I so wish blood oranges were easier to find in the US- they are so gorgeous. Great job on that photo!! Oh my God! I lived in San Pietro Clarenza too. I lived there for little over a year back in 2004 - 2005. On via Umberto on the far side of town. I used to go to Bar Somma all the time. Best food and coffee ever. I had a hard time living there but now I look back and kinda miss it. Small world. And I was just looking up raviola recipes. I lived in Belpasso which is close to San Pietro Clarenza and I had several good friends there... I think one name was Gaetano Squillaci... seems like he had a couple of daugthers..he took us all to see his gardens. DO you know him? No, I didn't know them but my landlords were the Licandros. They were the sweetest people. They always had us over for dinner and gave us their leftovers from their garden. I miss them. My husband just got stationed in Sicily so we'll be moving there soon! Your pictures made me even more excited and more curious, thanks! I knew Gaetano Squillaci! He was my landlord in San pietro! !